MARIPOSA – If you’re a foothill-area landscaper, gardener or would-be gardener, let the University of California Master Gardeners of Mariposa County help you with university-based research on gardening in our foothill locale. 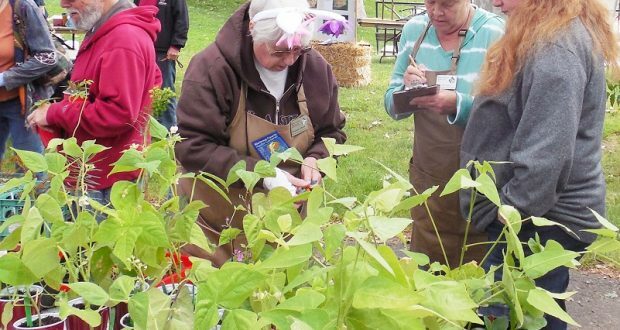 The UC Master Gardeners offer workshops, a free helpline, a website and a Facebook page (both overflowing with great tips and event notices) local newspaper and radio program spots, an information table at the Farmers Market and much more. Country residents: it’s not too late to enter your fruits, vegetables and flowers in the Mariposa County Fair The deadline for entry is Friday, Aug. 24. Master Gardeners will have an “Ask a Master Gardener” area in the horticulture building, and a U.C. Kiosk on “Integrated Pest Management” with a lighted digital microscope available to make a close inspection of your plant pests. Feel free to bring in your plant samples, and we will work with you to resolve your issue. Come visit us at the Coyote Fest on Saturday, Sept. 22 in Coulterville. Attractions include a parade, food, booths and fun, available all day! 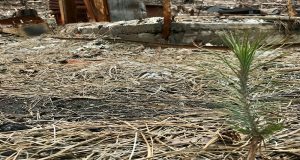 Then join us on Saturday, Sept. 29, from 10 a.m. – 12 noon at the Board of Supervisors Building (5100 Bullion Street, Mariposa) for a free workshop on planting and caring for Native Grasses. Sign up by calling 209-966-2417. You can also visit us on the Farm and Ranch tour the same day. For information anytime on upcoming workshops click here. A new 16-week training class will begin in January 2019. Classes are held one day per week, and space is limited. For an application, please email your interest to smace@ucanr.edu, visit our office (address below), or catch up with a master gardener at any of our events, including the fair. The Master Gardeners maintain a Native Plants Demo Garden by Mariposa Creek on Stroming Road between 6th and 8th Streets. Informational pamphlets on the demo garden are available at the Master Garden office (address below). These serve as an excellent guide for a self-directed tour of the garden at a time of your convenience. The gardeners also hold a monthly work day at the demo garden where members of the public can mingle with Master Gardeners, ask questions, and lend a hand if desired. August’s workday will be on the 21st from 8 – 11 a.m.
Every Wednesday from the third week of May through the end of October, from 5 to 6:30 p.m., come out to Stroming Road and 6th Street to taste the delicious wares of local farmers at Mariposa’s Farmer’s Market, and bring your questions and/or samples to the “Ask a Master Gardener” table there. The gardeners will be happy to answer your questions, either on the spot or by phone or email after researching them. The gardeners also maintain a free Helpline and Help Desk, manned on Tuesdays from 9 a.m. to noon, and Thursdays from 2 to 5 p.m. at the Master Gardener Office. Call us at 209.966.7078, stop by and visit, or email your questions to mgmariposa@ucdavis.edu. The Master Gardeners also have a regular weekly radio show, “Over the Garden Fence,” on Mariposa KRYZ radio station (98.5 FM). The shows play every Wednesday at 2 p.m. and again Saturdays at 5 p.m. August’s show will address issues associated with late summer gardening.